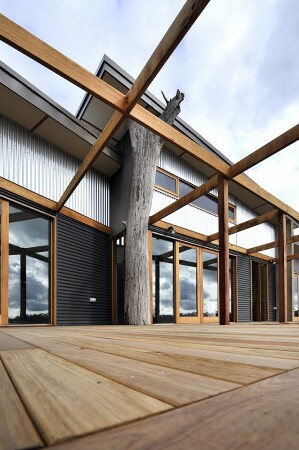 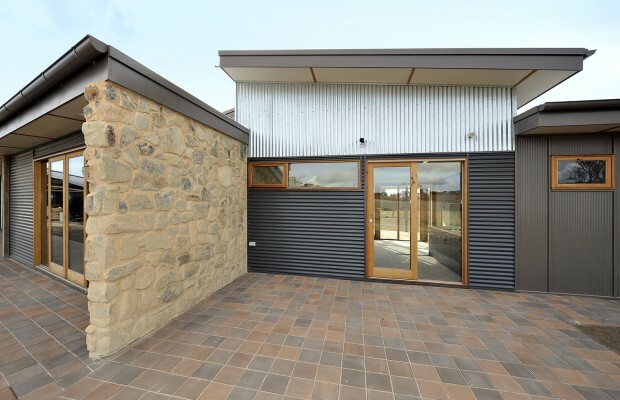 Recycled building materials such as warm timber accents and corrugated steel resonate echoes of the rural environment. 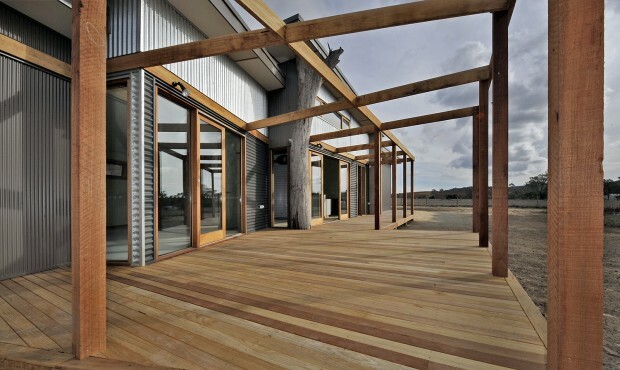 Large north facing windows have a pergola ready for vines or blinds for summer shade. 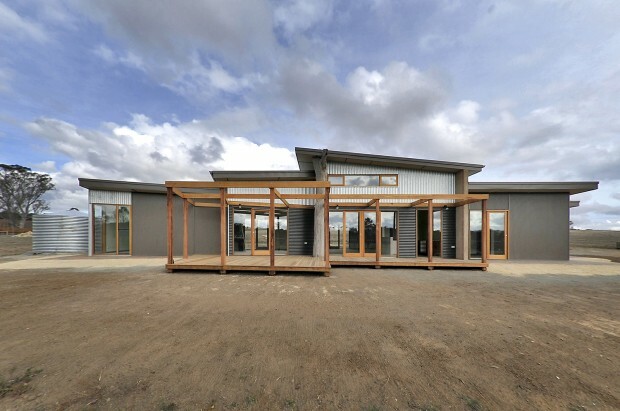 The deck floats out from the living spaces, separating the two wings, accommodating the core family unit and an aging relative. 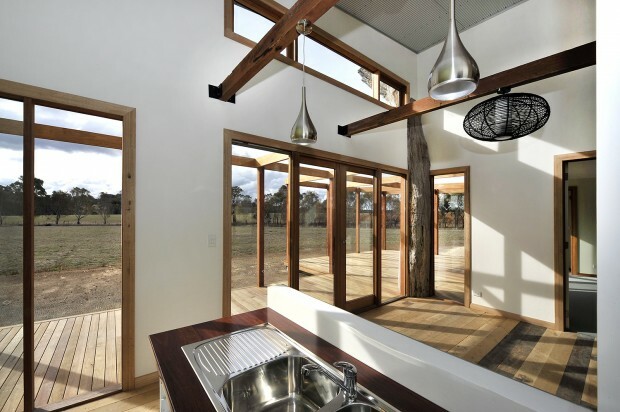 The house is light and transparent, softly grounded on the chosen location after extensive consideration of the site.